In the picture walnut is on the left, maple in the middle and cherry on the right. 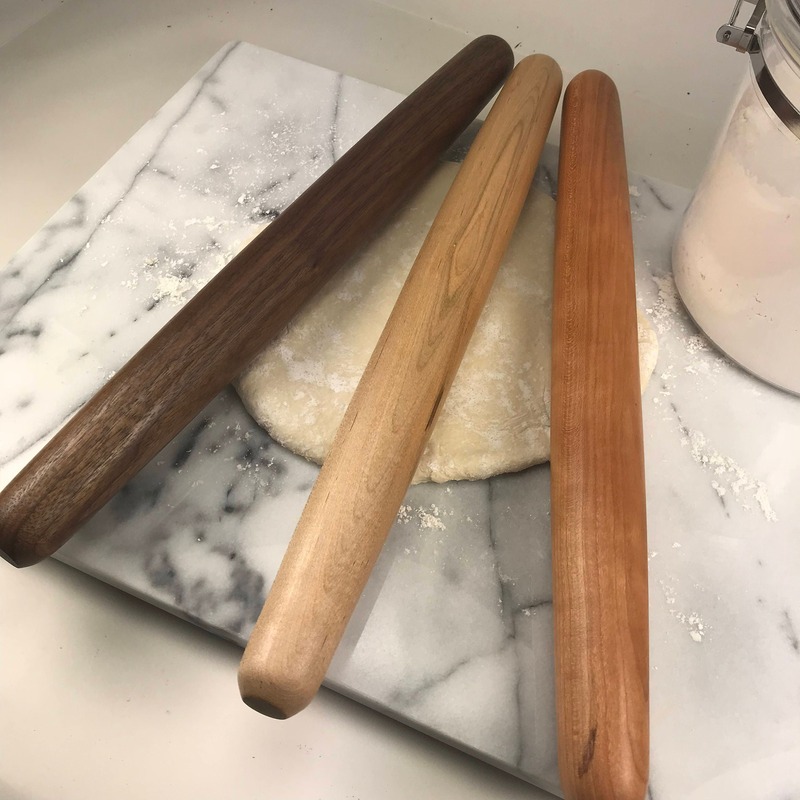 I spend a lot of time on rolling pin to make sure they are no flat spots and smooth. Sometimes I will use a piece of wood that has a knot or worm hole in it. i fill it with a black epoxy and sand. Adds a little more character to the wood. When my customers pickup one, they won't put them down. This is 24, 18 or 12 inches long and 1 3/4 inches wide with slightly tapered ends. I taper the ends from the middle to the ends. The Asian pasta rollers are 12" x 1-1/4" with tapered ends. The last picture is of a Asian pin. Spoons and spatulas has been washed to raise the grain, then re-sanded and waxed with beeswax and mineral oil mix. Regardless of what some spoon makers say grain raises all the time after use. The grain will break, then fuzz up. Great gift for my friend who loves baking. Well made and packaged. These pins not only look great, but they work very well and are very smooth. Quick shipping, too.